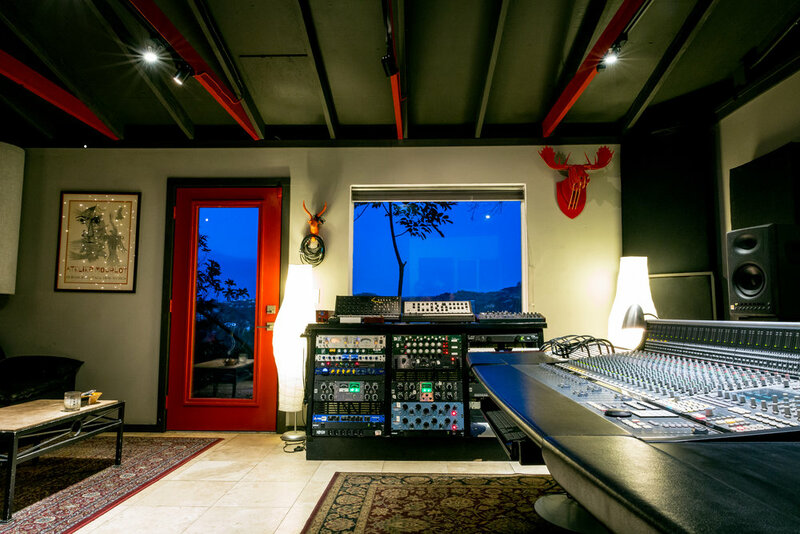 Built by producer duo Heartbeats in 2013, TreeHaus Recording has quickly built a reputation as one of the premier creative spaces in Los Angeles. TreeHaus Recording is a full service recording studio, from tracking to production to mixing and more. Whether sketching a quick demo or recording a major label release, we provide our clients with an inspiring space full of "big-name studio" gear without breaking the budget. The studio also accommodates freelance engineers, producers, and mixers. It is available for half-days, full days, overnight sessions, and extended lockouts. WHAT MAKES US DIFFERENT? Cost. Efficiency. Vibe. 1) Studio owners Justin Gariano and Dusty Schaller are on hand to engineer or assist all sessions at no extra cost. 2) A drum kit is always set up and mic'd - saving you valuable time. 3) Spectacular views outside, and a playful environment inside, keep you in the creative vibe from the moment you arrive. 17'x22′, acoustically tuned. Splay your sessions across our SSL AWS 900+ analog console, and patch in to outboard gear by Avalon, Chandler, Daking, dbx, Warm Audio, and more! We are equipped with the latest versions of Pro Tools, Logic, and Ableton Suite. An Antelope Orion 32+ provides spectacular D/A conversion, and speakers by Barefoot and JBL provide pristine, accurate monitoring. Our Mac Pro is loaded with all the essential plug-ins and soft synths, such as Waves 9 Mercury, McDSP All Access, Autotune 8, SoundToys 5, Kush, Slate, Roland, Arturia, Komplete 10, and the full suite of Antelope Audio's stellar Realtime FX. 22'x23′, acoustically tuned, and includes full access to our large collection of drums, guitars, amps, synths, and mics. From loud rock to delicate orchestral sessions, our live room captures every note beautifully. 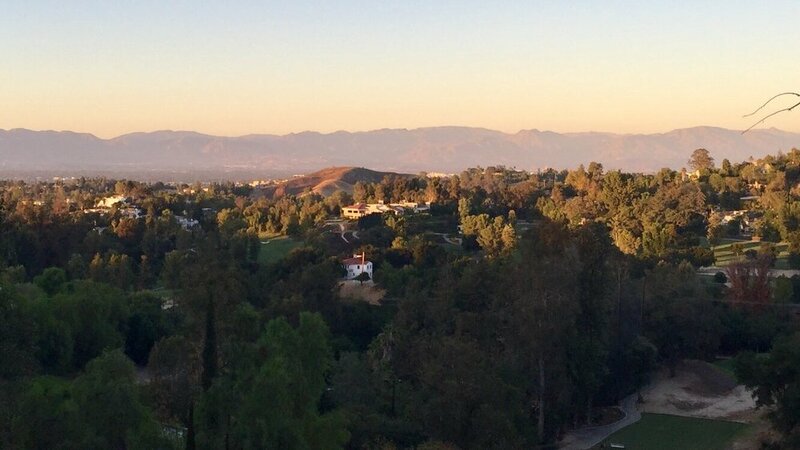 The podcast and voice-over industry has discovered our pristine sound quality as well, with clients ranging from Kim Kardashian to Audible Inc.
Our tracking room is an ideal environment for filming and photos, from interviews to music videos to modeling. Save time and stay in the creative space while we edit your sessions on our b-rig. Tightening, quantizing, vocal tuning, cleanup, and mix prep! A common question we hear in the studio is “how are we going to play this live?” We at TreeHaus have programmed, designed, and toured playback systems for bands from the club level to arenas. Please find our full gear list on the Equipment page, and we can accommodate any additional gear request with advance notice! Need musicians, gear techs, photo or film crews for your session? We're happy to make a call and set you up with the best of the best! Hide out in our TreeHaus, and let your imagination run wild!